I always look forward to spending time with Yolanda and Kristen at FAS events, as we rarely have time to catch up during the busy work day. 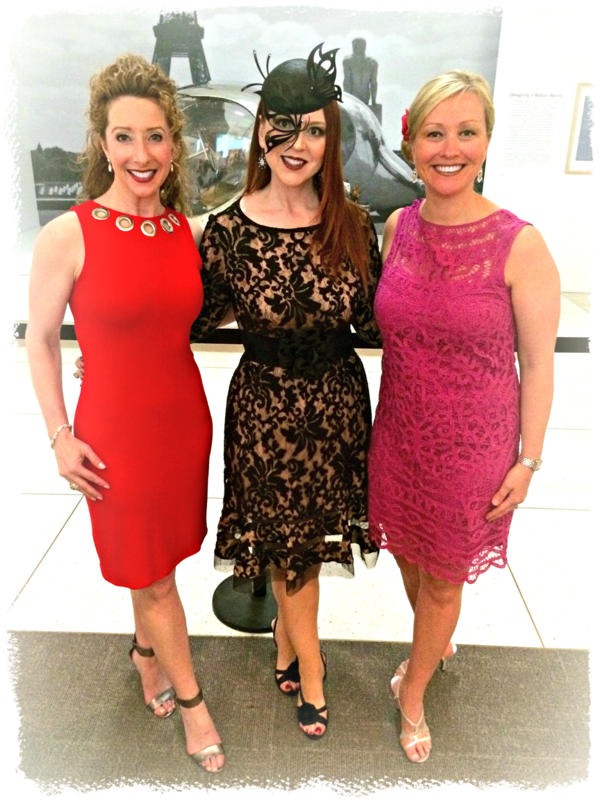 On May 5th at 5:55 pm, the Indianapolis Museum of Art's Fashion Arts Society celebrated its Fifth Anniversary with a gala event and the opening of a fabulous new fashion exhibit built, in part, on funds raised by the Society in its first five years. The exhibit itself is phenomenal. It's impossible to wander through the historical pieces on display and not appreciate that fashion is, indeed, an art form. The IMA also has a "Dream Cars" exhibit this month, so between the treasured textiles and one of a kind concept cars, I was pretty much in museum nirvana. I might never have met Dedee if it weren't for FAS, but we've bonded over our shared love of vintage fashion, fast cars, and Halloween. Yet, as the evening flew by in the blink of an eye, I was keenly aware that my affiliation with the Fashion Arts Society has wrought multi-faceted friendships in my life that are far more valuable than clothes and cars. The women and men I've met through FAS are incredibly creative, diverse, and genuine. I have been enriched and inspired by having these people in my life. There are Madison and Crystal, who encouraged me to start this blog; there are Yolanda and Kristen, who I brought into the FAS fold, but with whom I've developed deeper friendships as a result of our shared FAS experiences; there is Angie, who shares my love of the whimsical; there is Dedee, who is my kindred spirit with respect to vintage clothes and cars; there is Tanya, a fellow attorney I once faced off with in litigation but who is now a good friend and lakehouse neighbor; there are Paco and Jamie, who take the art of entertaining to dizzying heights and whose delightful stories I could listen to for hours; and there is Deborah, who reminds me to fearlessly be myself. 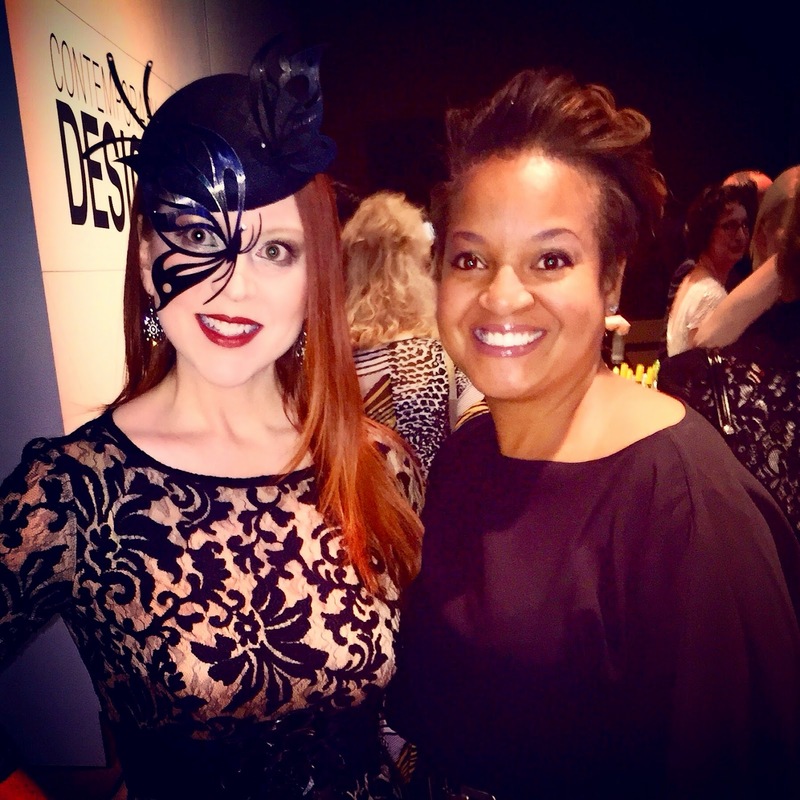 Deborah Dorman is a study in individuality and personal style. I'm honored that she considers me one of her "BFFs." 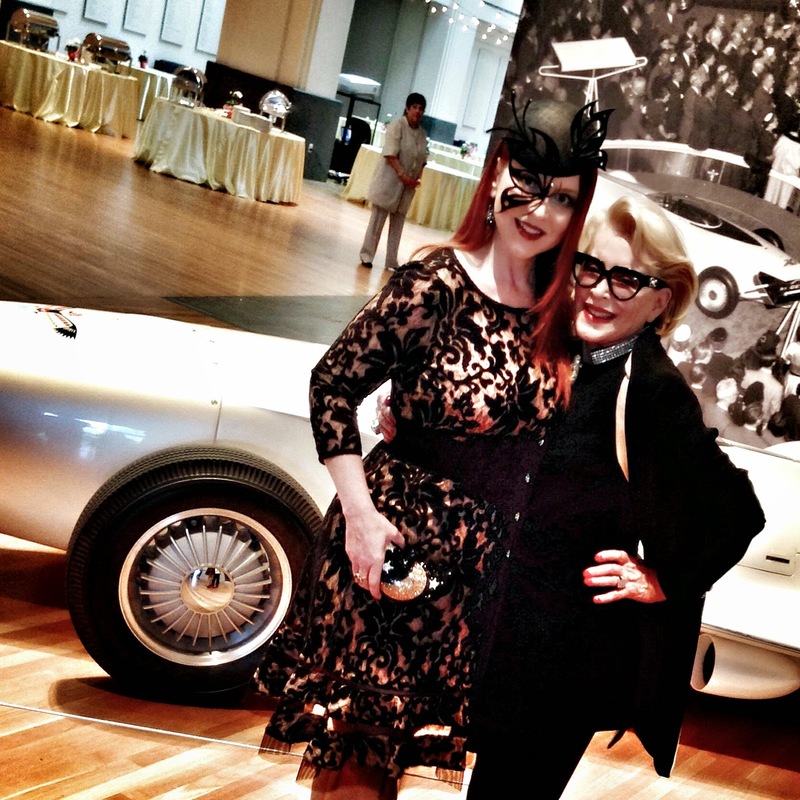 One of the IMA's "dream cars" serves as a backdrop for the FAS 5th Anniversary gala. There are more, to be sure, and I don't mean to offend by leaving anyone out. At an FAS event, I never feel like I have enough time to spend with all the living, breathing works of art that exhibit the beauty of the human spirit. Thank you, IMA, for being so much more than just a place to see pretty pictures. 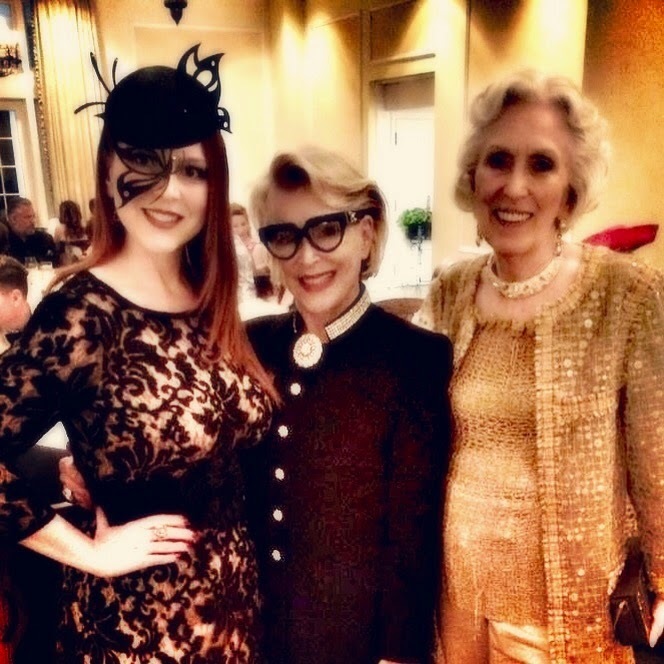 Deborah Dorman (center) and Lorene Burkhart (right) were the first inductees into the FAS Fashion Hall of Fame, along with the always dapper Stephen Taylor. All three are fiercely individual in their style and an inspiration to others not interested in cookie cutter clothing. Lorene, who has donated more than one haute couture garment to the museum's collections, also demonstrates that money is not essential to style - she's wearing a sweater that was crocheted by her mother decades ago. For an adventure in fabulous headwear, check out this month's Hat Attack by the Style Crone. Your hat is very unique and glamorous. I love how it frames your eye and looks perfect with the dress that you chose. Thank you for sharing with Hat Attack!